Digital advertising is not what it used to be. That's good and bad news for brands. On one hand, marketers have more data to help target consumers than ever before and more channels in which to reach them. Unfortunately, a brand's audience seems to be watching all of those channels at once as they multitask their way through their day. They are chronically distracted — to the point where their brains' defenses are actively working to filter out and ignore ads. Data-driven messaging can help marketers grab consumers by bypassing their cognitive filters using relevance and creativity. In a world where consumers see ads as they're bombarded by content across multiple screens, personalized data-driven messaging is not a "nice to have" — it's an essential element in a brand's advertising strategy. Still, to adopt personalization at scale will require marketing organizations to acquire new skills and adopt new processes. Certainly there is work to be done, but the sooner marketers adopt data-driven messaging, the bigger their advantage will be over competitors who still use outdated tactics to woo distracted consumers. Over the past 10 years, advertisers have invested heavily in digital platforms that help them identify whom to target (i.e., data management platforms) and where to find them in the moment (i.e., demand-side platforms). Once marketers know whom to target and where to find them, the question becomes what does one say to them. A brand can find the right person at the right moment, but if it shows them the wrong message (or a one-size-fits-all generic message) the brand will have missed its opportunity. Data-driven messaging is the technology that enables marketers to personalize their messages at scale using their arsenal of behavioral, contextual, and audience data. Some marketers would claim that they have been personalizing their messaging for years using a technology called "dynamic creative" or "dynamic creative optimization" (DCO). DCO typically refers to retargeting tactics (e.g., showing an ad for a product that was just viewed) in display. Data-driven messaging incorporates a more comprehensive set of data signals and can be used across the entire funnel — and across media channels. This opens up a world of new personalization opportunities. As a way to see data-driven messaging in action, consider the fictional automotive company Asbury Motors. 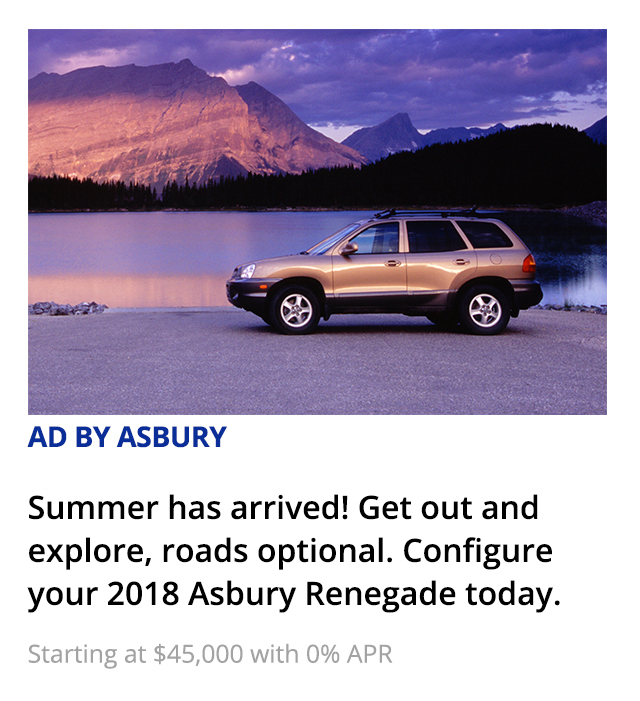 Asbury is looking to sell its vehicles to two distinct audiences: parents and millennials. Asbury can use data-driven messaging to deliver a personalized, omnichannel customer experience to each consumer. In the awareness stage of the consumer buying journey, a parent searches for a Toyota Sienna on an automobile-focused site, which triggers a display ad on the same page for the Asbury minivan. 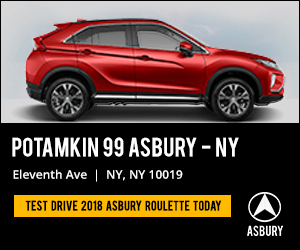 Meanwhile, a millennial is checking baseball scores on a sports site and is shown a contextually relevant display ad with the score of last night's game and an Asbury model painted in New York Yankees colors. Through subsequent touchpoints in the interest stage, Asbury learns more about each consumer. 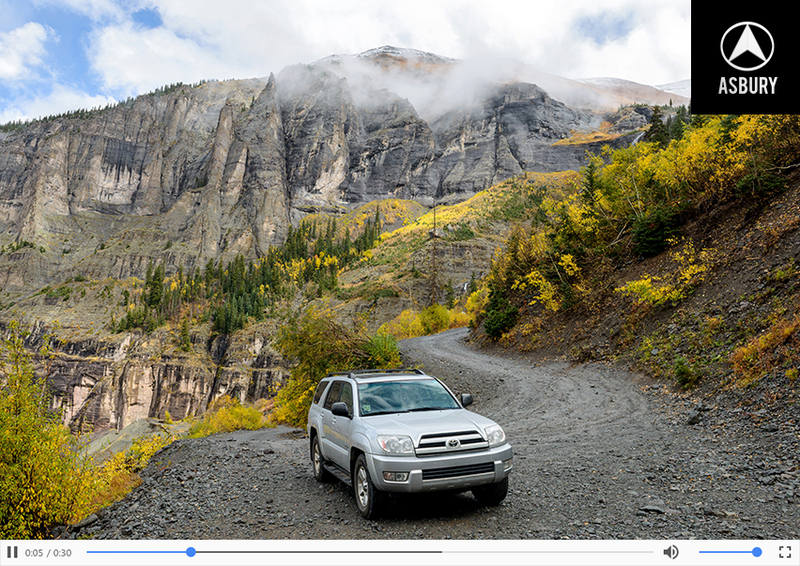 In subsequent moments, Asbury will present each consumer a personalized 15-second video. 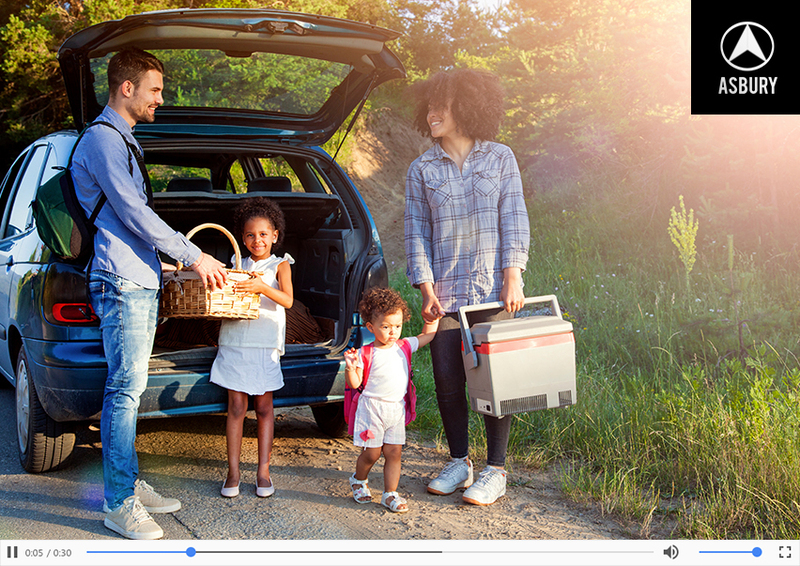 The parent will see a family going on a picnic in their SUV while the millennial will see an SUV in the mountains. During the evaluation stage, the parent configures an Asbury vehicle using the configurator tool. Later that day, Asbury shows a display ad with the exact configuration she selected. 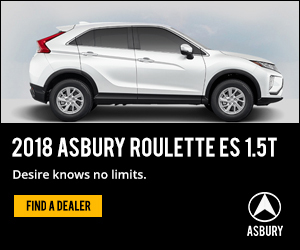 Meanwhile the millennial, who was researching a silver SUV, sees a personalized native ad for that exact model the next time he visits the Rolling Stone site. During the intent phase, the buyers have given definite go signals (i.e., looking at offers, viewing inventory, searching for dealers). 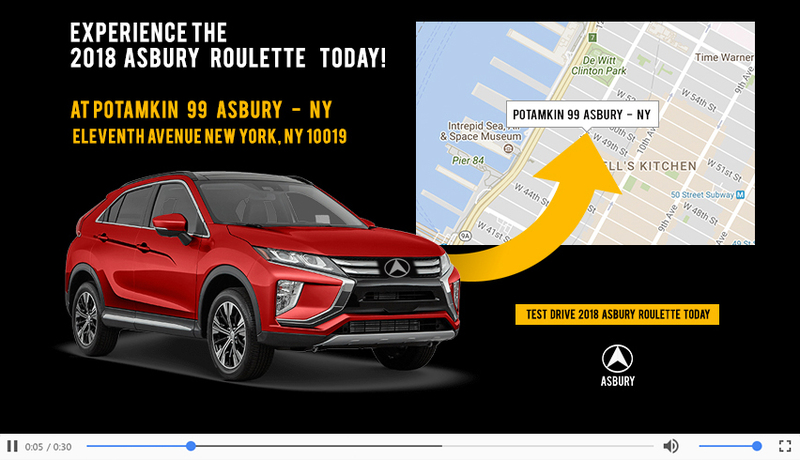 At this stage, Asbury ads include dealer messaging, complete with geo-targeting, dealer location, and mapping features. Based on the sites that buyers visit, they may see a combination of personalized display and video ads. Bringing this all together, there are two very different people purchasing vehicles from the same automotive brand. While both customers progressed through the same buying stages, their customer experience journeys were very different, each enabled through data-driven messaging. The biggest challenge with data-driven messaging today is not the technology; it is building a new operating model to effectively leverage the technology. Here are the five key changes marketers will need to make. 1. Empower the creative team. Historically, the creative agency set the stage for a campaign and media distribution fell in line behind it. With the advent of programmatic technology, the media agency has taken the lead, with creative too often relegated to a fulfillment role. For data-driven messaging to succeed, marketers must align creative and media development to work off the same objectives, assumptions, and data. This means that the media agency, which often controls the data and the audience segmentation, must be engaged to brief the creative agency much earlier in the process. It also means that the marketer must step up and drive the process. Neither the media agency nor the creative agency are experts in data-driven messaging; it is as new for them as it is for the marketer. The marketer must provide critical direction on scope, including the campaign tactics under consideration, the digital channels, available data sources, and how success will be measured. 2. Establish "message audiences" with media and creative. Media and creative teams typically work with target audiences. With data-driven messaging, the creative team will need to split the target audience into "message audiences," each defined by its own unique benefits statement. Take the toilet paper brand Scott, as an example. While most everyone is a target audience for toilet paper, a campaign for Scott 1000 recognized three audiences who represented opportunities for different creative appeals. Families who have young children who are potty training; heavy Drano users who want a product that won't clog their septic systems; and businesses that want the efficiency of a roll that lasts longer than other rolls. The result was a highly engaging, personalized campaign. 3. Reinvent the creative brief. Traditional creative briefs featured a singular message and value proposition. These are no longer sufficient for data-driven messaging. In addition to supporting the concept of messaging audiences, the new creative brief must anticipate how time, context, and consumer circumstance could influence the message variations. Briefs must now address whether a brand is telling a story or making a case to a consumer over time; the time of day, week, or year; if the consumer is at home, work, or on the go; and whether the consumer is using a smartphone, computer, or tablet. As examples, recent campaigns from Nespresso and Corona effectively illustrate how to consider time and context for messaging. Nespresso engaged consumers using time to convey the importance of coffee at different points in the day. Corona, on the other hand, based their video ad campaign on celebrations — big and small — that occur throughout the year. 4. Plan a messaging architecture. While data-driven messaging presents countless opportunities to engage consumers, marketers must guard against drowning in the complexity of an over-engineered communications strategy. A messaging architecture is an essential tool for developing a brand's data-driven messaging strategy. It consists of a tree-like structure that helps team members visualize the messaging logic. It also allows marketers to map impression volumes across each branch to help the team focus on high-impact opportunities. 5. Streamline the creative production framework. While data-driven messaging may seem expensive, the secret sauce is to design custom templates that can then be scaled across all creative permutations. Marketers can employ one template for everything or use multiple templates to introduce variations. In either case, the performance of each creative permutation can be tracked individually. For example, in designing an ad campaign that played to multiple audiences, global hotel company InterContinental Group (IHG) designed a simple, flexible creative template with dynamic fields that swapped out properties, price, geography, and a carousel of destinations. This dynamic template enabled IHG to quickly serve up the right ads to engage the right audience, whether they were in the market for a midrange Holiday Inn, a posh InterContinental, or a boutique property. With a single template, the company is able to reach any consumer group and market properties from nearly 100 countries. The newest challenge for today's marketer is engaging a new generation of distracted, multitasking, and multiscreening consumers. Data-driven messaging is the best strategy for creating the personalized relevance that will get a brand message past consumers' cognitive filters and into their consciousnesses. Done well, personalizing the brand promise will not only grab attention, but create a deeper resonance with consumers who want to feel recognized and supported by the brands they favor. Finding creative ways to express the brand's promise in the consumer's context will result in campaigns that resonate over time and create the ultimate connection with the brand. But, like any new endeavor, data-driven messaging will take time and effort as the marketing organization learns the skills and establishes the processes to get it right. Taking the first steps now will help ready marketers for this new creative transformation and will put brands ahead of their competition in the next era of digital marketing. It's time to jump in.